Several rumors are swirling around Apple TV: Apple is planning to take on cable TV with its own bundle of channels, the company wants to create original content, it tried to acquire Time Warner, and so on. 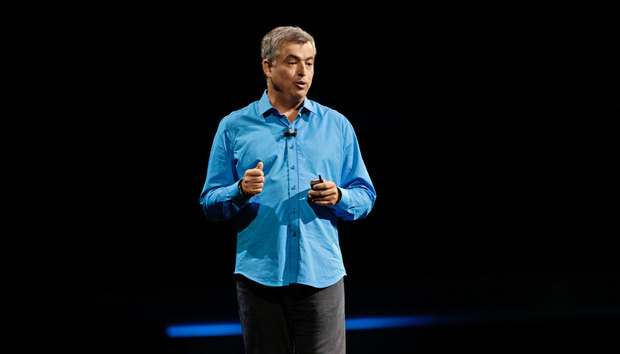 According to Eddy Cue, Apple’s senior vice president of software and services, you can expect Apple TV to get a lot better, but you can rule out buying a skinny bundle of channels from the company. In an interview with The Hollywood Reporter, Cue said the quality of both TV hardware and the content available to watch has never been better. The problem, the one Apple hopes to solve, is how people get that content. Apple wants to banish channel guides and DVRs and deliver a service that shows you the content you want to see with a simple voice command—or even better, with no command at all. But Cue doesn’t think a skinny bundle of channels you buy straight from Apple is a solution to that problem. Apple TV is just a platform, he said. If the cable companies want to offer cheaper bundles, they can do so on that platform. Apple also isn’t getting into the original content business, despite the two original shows it has in the works. “Planet of the Apps” is a reality show about app developers from producers Ben Silverman and Will.i.am. The show is looking for developers to join the cast. The other show is rumored to be a scripted Dr. Dre production, but Cue wouldn’t confirm the details. As for the rumors around Apple buying a production studio or a cable company, Cue said Apple is always looking for opportunities—and has the cash to make those deals happen—but isn’t currently on the hunt to make a big acquisition. Apple has long had a healthy relationship with the entertainment industry, one that predates iTunes. Cue said those industry partnerships are informed by Steve Jobs’s experience starting Pixar.